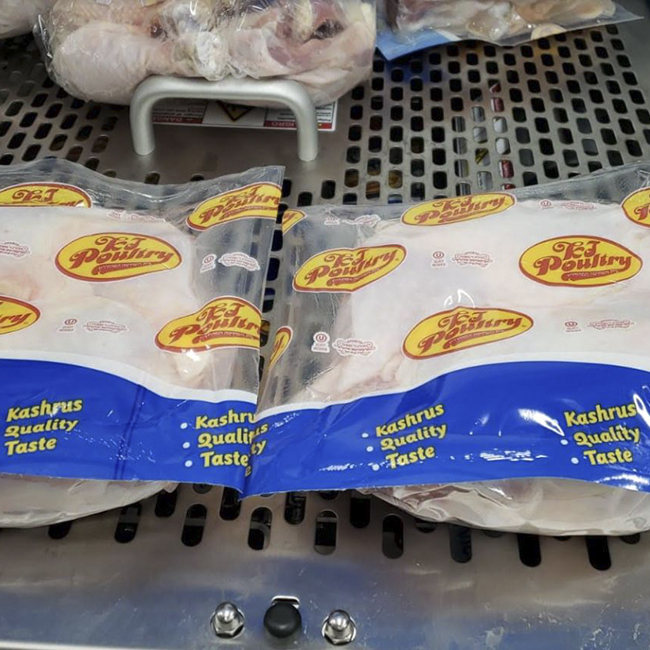 After months of collaborating with KJ Poultry to find an eco-friendly, cost-effective package for chicken, clients at the Masbia food pantry will be receiving this new poly-pouch. Chicken is one of the most sought-after items at the Masbia pantry distributions. 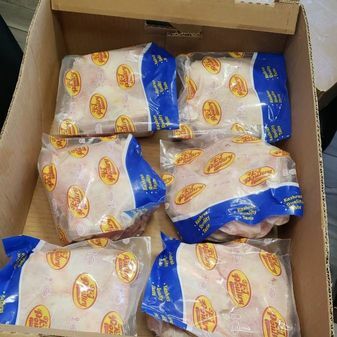 "There isn't a single food item that makes our clients as happy as when they receive chicken," said Alexander Rapaport, Executive Director of Masbia Soup Kitchen Network. Masbia procures tens of thousands of pounds of chicken a year and getting the best price for the charity dollars is very important. As discussed in a previous post before Passover, we had a dilemma of whether to go with a more dignified packaging versus a cost-saving packaging. Since then, Masbia collaborated with KJ Poultry and came up with a pouch that is cost-effective, eco-friendly, and is dignified. After a couple of months of tweaking, Masbia now has the final new packaging that the clients love and is a huge cost saver. Masbia is getting a lot of huge Thank Yous from the clients. Help Masbia keep the freezer stocked with chicken for the needy. Donate now.